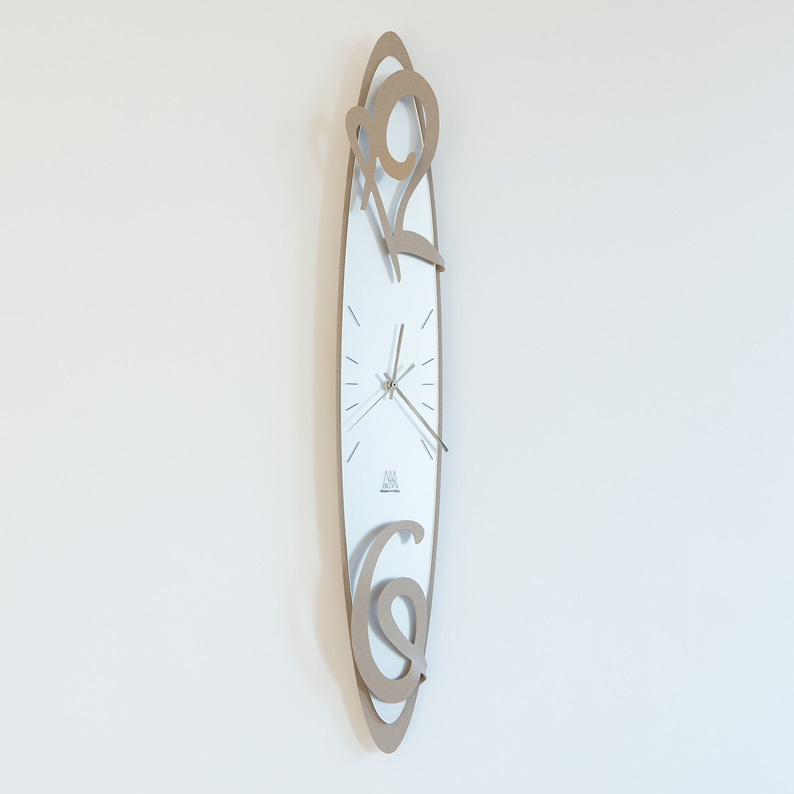 Soft and airy tones of white and beige create a beautifully delicate effect on this ellipse wall clock. The 6 and 12 are crafted in sensuous curves that come away from the clock face and the time is indicated on a classic dial with long elegant hands. Perfect for a home with a modern minimalist feel, hang it on a pillar to accentuate the elongated shape. Made from metal, sized at W12cm x H75cm.